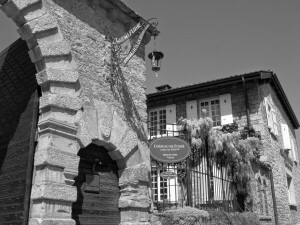 The Château de Fuissé has been under the ownership of the Vincent family since 1862 with each of the five generations building up the vineyard holdings and consolidating the property’s reputation as the leading producer in the Mâconnais. Today, the domaine is under the guidance of Antoine Vincent, who not only manages the running of the estate but is also responsible for the winemaking. 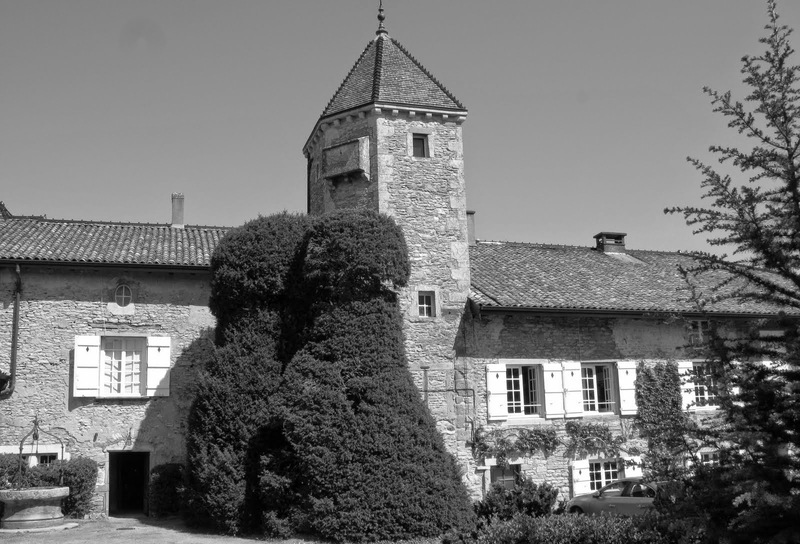 The château remains a family home, rich in history and recognised instantly by its distinctive 15th Century pentagonal tower and renaissance porch. The vineyards extend to over 30 hectares, spanning five appellations. Outside of the Domaine de la Conseillère in the Beaujolais Cru of Juliénas, the vineyards are planted exclusively to Chardonnay and cover some 104 different parcels of vines. The Pouilly-Fuissé Tête de Cru is essentially fifty different parcels into one bottle. The age of the vines here range from between 15 and 30 years, with the blend being built up over a period of several months. A portion of the grapes sourced from vineyards in Chaintré, Fuissé and Vergisson are kept apart and fermented in tank, representing around one-third of the total blend. A further 25 different barrel-fermented components (with an average of around 20% new wood) are gradually worked together, before being incorporated into one final blend. Pouilly-Fuissé Les Combettes is sourced from 1.3 hectares of pebble-rich soils close to the wood that forms the southern border of Fuissé. The wine is fermented in older barrels (3rd to 5th fill). Part of the production is blended into the Tête de Cru, but since 1991, around 4,000 bottles a year have been bottled under the name of this north-facing lieu-dit. Pouilly-Fuissé Le Clos is sourced from 2.2 hectares of vines on the slope, directly behind the château. The wine is fermented in 80% new oak and undergoes a full malolactic fermentation. Pouilly-Fuissé Les Brûlées is, as the name might suggest, from an adjacent south-facing slope on heavier clay-based soils. Fermentation here occurs in new oak. The ultimate expression of the estate, however, is expressed under the Vieilles Vignes label. This is a blend of the eight oldest parcels, of which vines from within Le Clos account for the largest proportion. Fermentation occurs in 80% new wood and a full malolactic fermentation is completed. Production ranges from between 10 and 12,000 bottles a year. The Saint-Véran comes from vines planted on the clay and limestone soils of Vergisson, with an additional two hectare parcel planted on a cordon of silex. The two sites are harvested and fermented separately in tank and blended before bottling. The Mâcon-Villages is sourced from three hectares of vineyard on the plain above the Pouilly-Fuissé appellation, close to the hamlet of Prissé. It’s a new addition to the range from the 2012 vintage. The wine is raised in tank. The wines of the Domaine de la Conseillère in Juliénas were introduced into the Château de Fuissé range in 2010. 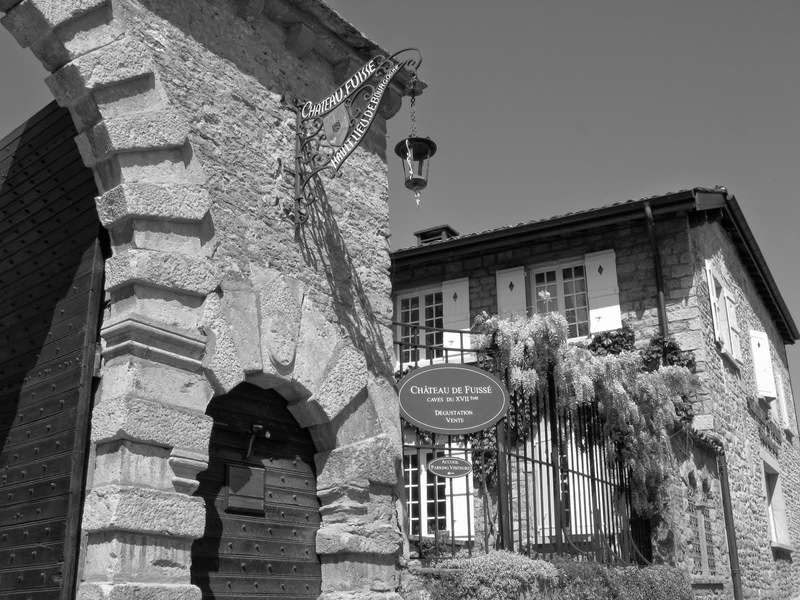 The Vincent family owned the vineyards but apparently not ‘the house or the swimming pool’ and it was the first time that red wine had ever been made in the Fuissé cellar. The grapes start the fermentation as whole bunches in open-top fermenters in the traditional way of vinifying the Gamay grape in the Beaujolais. The soils here are sand and granite, which give a good sense of minerality and freshness. The wines are raised half in tank and half in older barrels for around 10 months before bottling. Since 1985, the family developed a négociant business alongside its existing domaine owned selection, and is differentiated by the use of the JJ Vincent name on the label. The fruit is sourced mostly from family-owned vineyards and vinified in the same cellar as the grand vins. 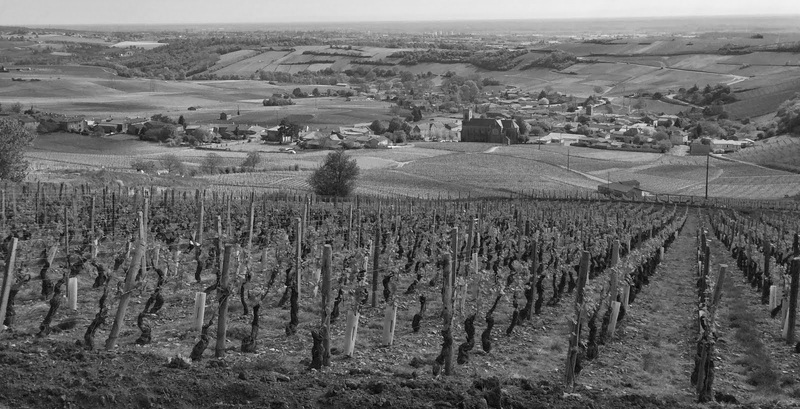 The Bourgogne Blanc ‘JJ’ comes from a declassified parcel of family-owned vineyard in Mâcon-Villages. Located in the commune of Vergisson, just behind the famous rock of Solutré. The parcel is machine harvested and the resulting wine is fermented in tank, with a 10% barrel component added for complexity. The Mâcon-Villages Champ Brûlé is raised partly in oak, but without recourse to malolactic fermentation. The Saint-Véran Les Morats is from a small family holding in Davayé. The wine is fermented in tank. The Pouilly-Fuissé Marie-Antoinette is produced from younger vines (between five and 15 years) owned by the family and also located at Vergisson, but also includes grapes purchased from some close neighbours. The wine is fermented half in tank and half in older barrel.